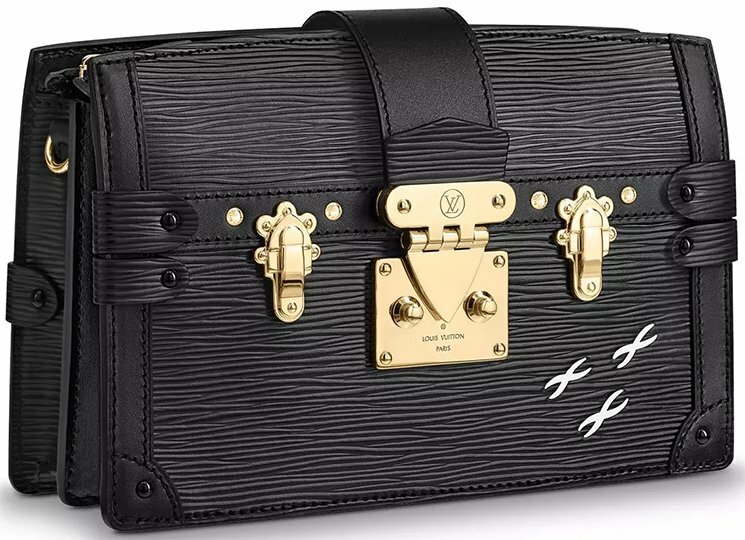 The Louis Vuitton Trunk Clutch is the soft-sided reinterpretation of the iconic Petite Malle Bag. And the Petite Malle Bag is inspired by the Maison Trunk. 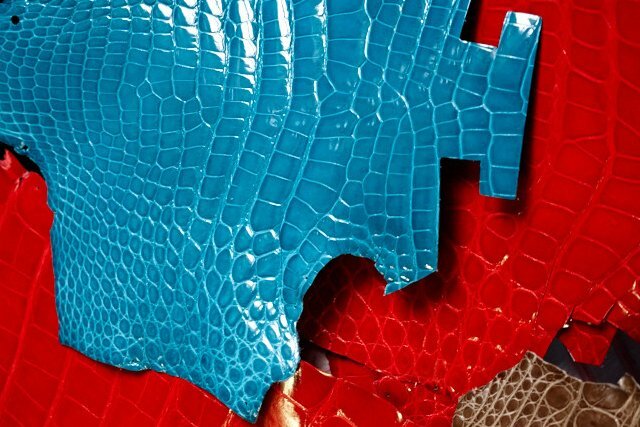 The details are not only special but they’re also iconic. It’s because Louis Vuitton started as a Trunk company back in 1854. The Trunk Clutch is a new bag from the Fall 2018 Pre-Collection. Trunk Clutch gives you the feel of carrying something precious – a piece of the house’s archives. The look makes you feel fabulous because effortless-flaunting is in action. Even though the bag feels a bit vintage, it can be carried with simple or modern clothing. Pair if with simple tee and jeans will work. Match it with chic outfits for the special occasion is also possible. The edges of the bag are refined with leather patches to make it look like the heritage Trunk. The S-Lock Clasp is another essential component as well as the gold colored hardware and the studs. The back is crafted with a reinforced leather strap connecting to the S-Lock. Depending on your needs, the Monogram is made from Canvas. 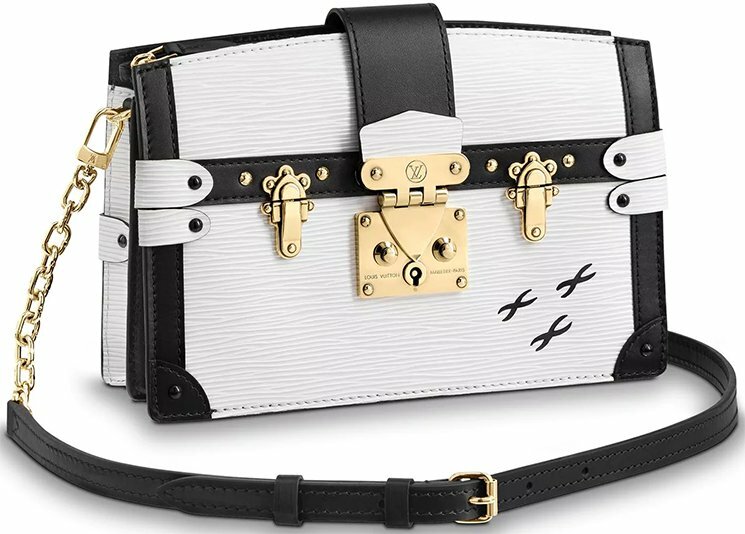 The bag also comes with an adjustable leather strap or chain strap. The main difference between these two bags is the size. 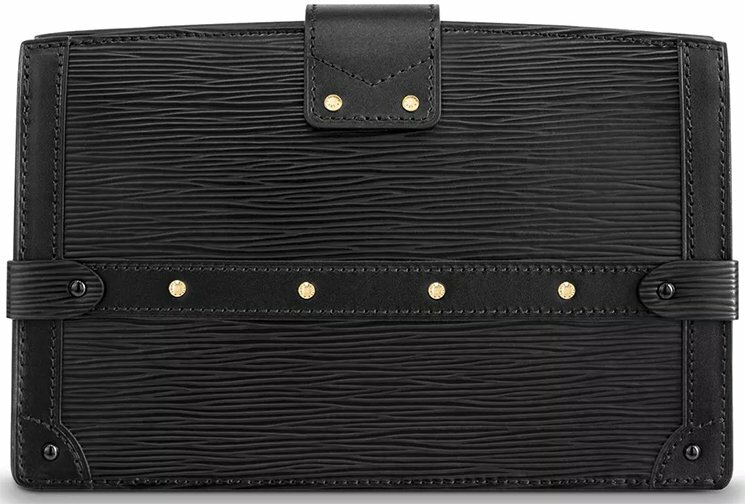 And even tough this Trunk Clutch is linked with the name ‘Clutch’, the Petite Malle Bag can also be used as a Clutch. 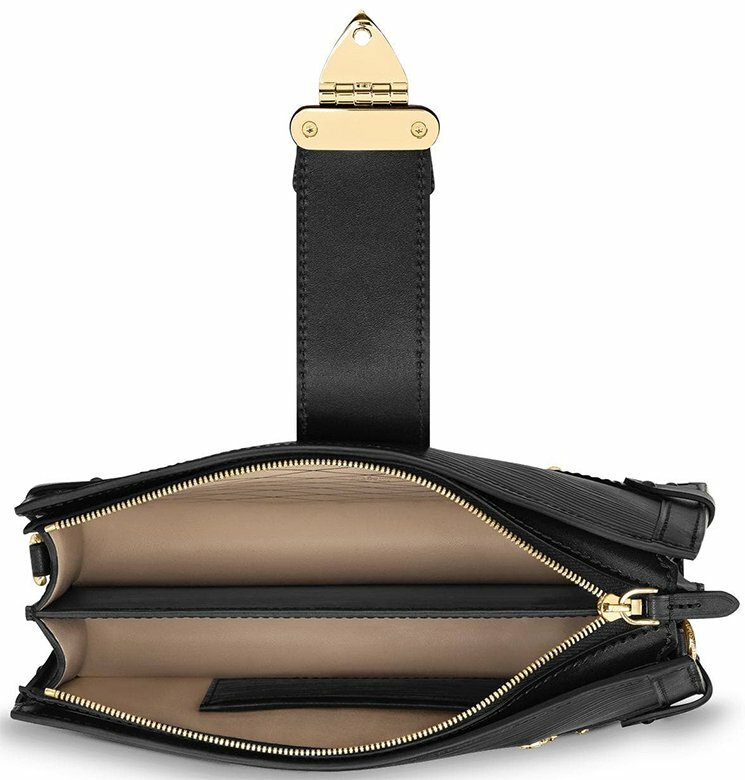 The Petite Malle Bag is measured 7.3’ x 4.6’ x 1.8’ inches while the Trunk Clutch is measured 7.9’ x 4.7’ x 2.2’ inches. So the Trunk Clutch is bigger in width as well as depth, which means it can carry more essentials. 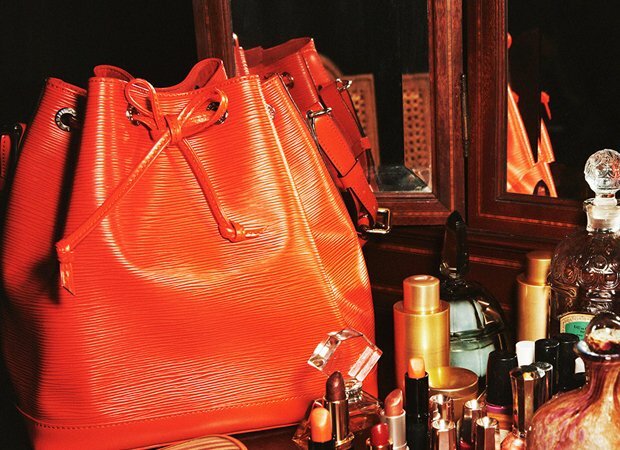 There is actually one more size that we’ve talked about at Bragmybag (if you have followed us of course. 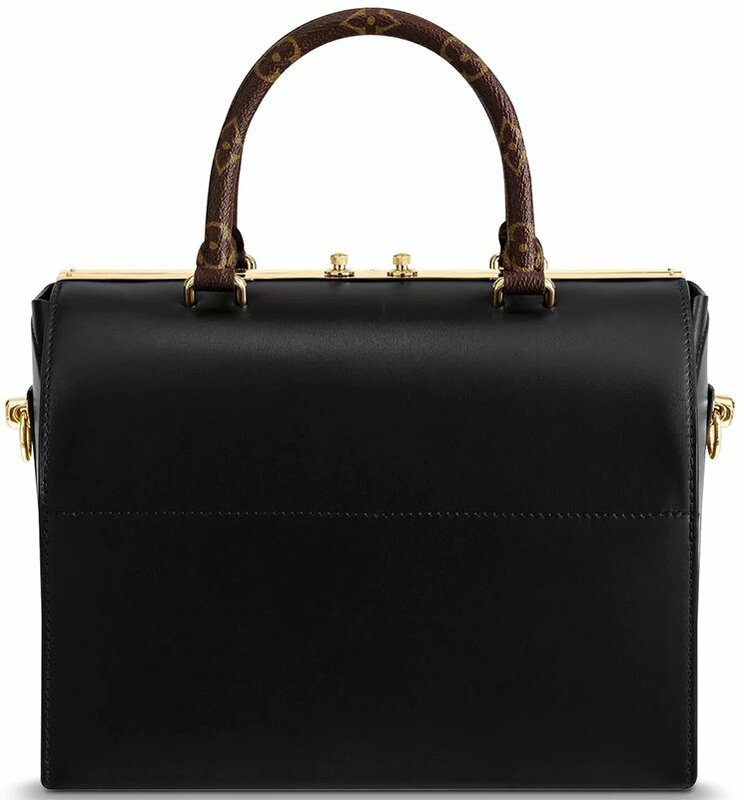 And that’s the Louis Vuitton Essential Trunk. The Essential Trunk is the smallest size with the measurement of 3’ x 4.1’ x 1.6’ inches. It’s also the cutest. The Trunk Clutch is made with sheepskin lining featuring Malletage print. The interior is made with two compartments as well as a small patch pocket. Measuring 7.9’ x 4.7’ x 2.2’ inches, priced at $3300 USD, $4100 CAD, €2400 EUR, £2230 GBP, $27200 HKD, $4400 AUD, ¥387720 JPY, 25200 CNY via Louis Vuitton boutiques. The Speedy Doctor Bag is a modern modification of the iconic Speedy Bag. 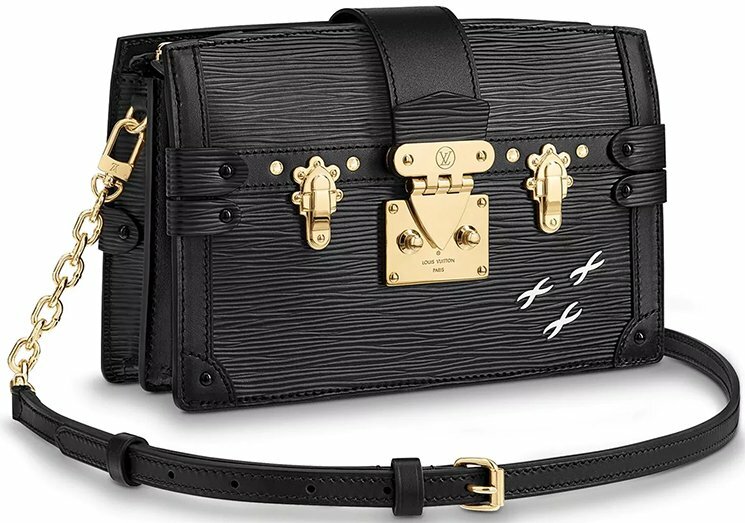 The first-version was crafted in full leather, but recently the house has released the Louis Vuitton Speedy Doctor Bag mixed with Monogram Canvas and Leather. The impact was immediately recognized, the feel of the overall appearance have completely shifted. 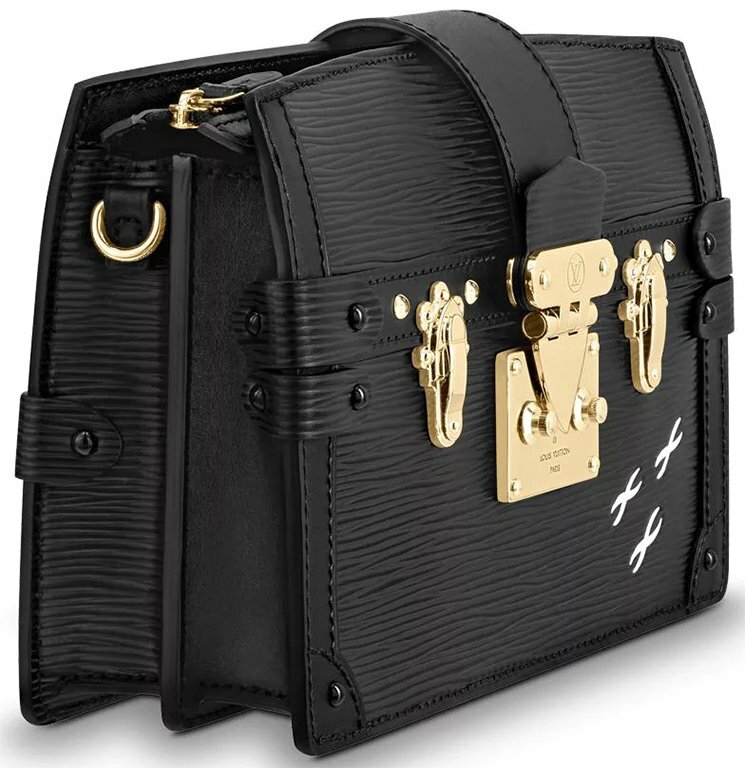 This bag is exclusively introduced for the Pre-Fall 2018 Collection. 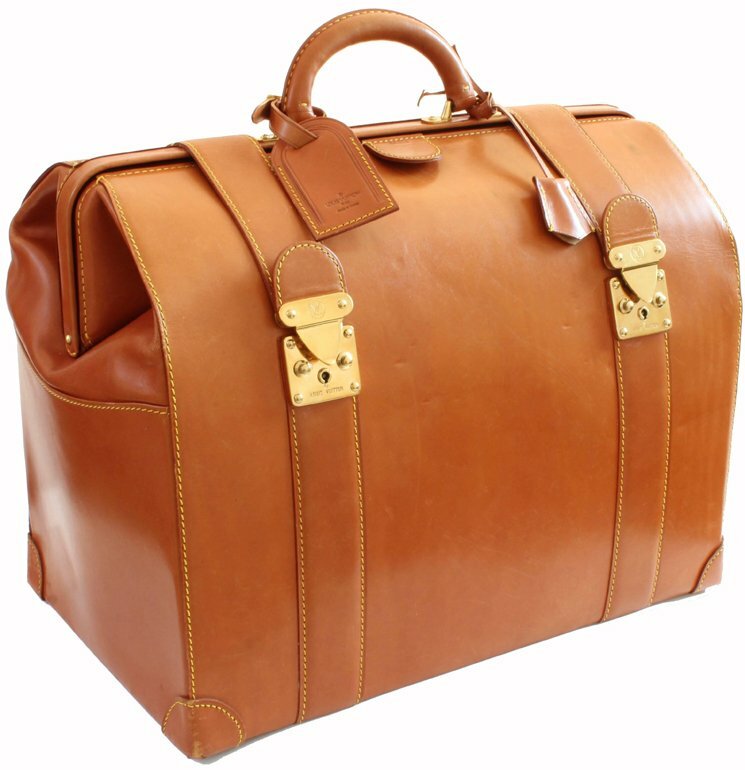 The full leather Speedy Doctor Bag looks amazing due to the streamlined and minimalistic body. The Speedy Doctor Bag with Monogram Canvas looks both classic and modern – there is a good balance. The Speedy Doctor Bag is inspired by the Classic Doctor’s Bag, which clarify the shape. 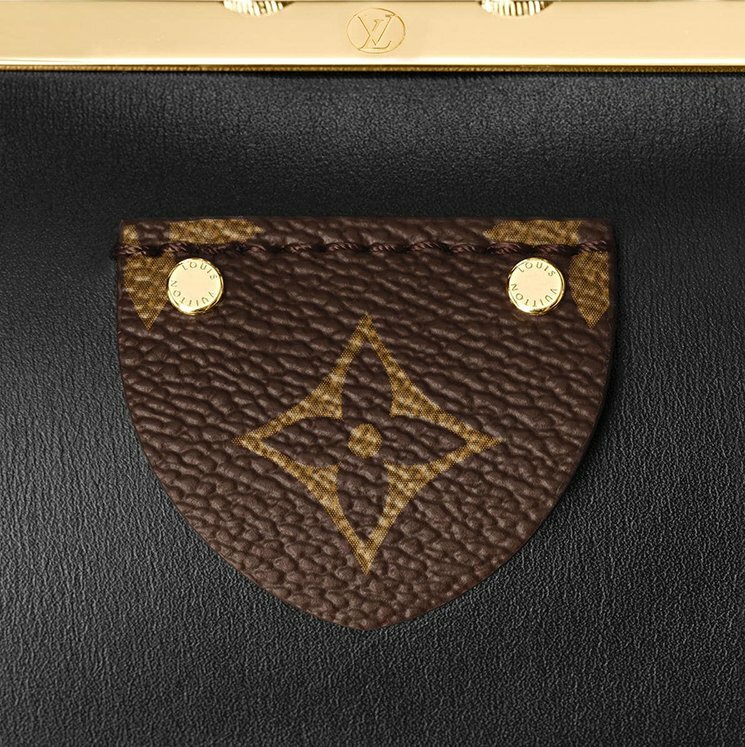 The top and the side are crafted with calf leather while the lower part of the front and part of the side are made from Monogram Canvas. You can carry the bag by hand with two top torron handles or you can sling it on your shoulder thanks to the strap. The handle and the strap are both crafted from Monogram Canvas. The top is made with clasp metal closure and it’s also refined with a metal plate in gold hardware. 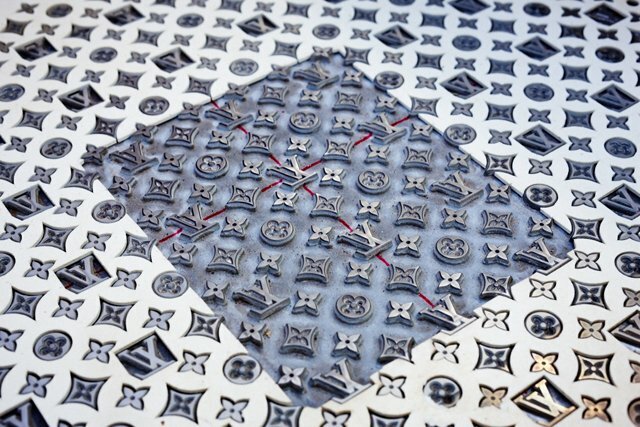 Just below the clasp, Louis Vuitton created a tag with a diamond symbol, which is one of the symbols from the Monogram. The interior is made with microfiber-lining. Inside you will find the main compartment as well as a flat pocket, double flat pocket and an inside pocket with Monogram Canvas. Measuring 9.8’ x 7.1’ x 6.3’ inches, priced at $3700 USD, $4450 CAD, €2600 EUR, £2430 GBP, $30500 HKD, $4750 AUD, ¥433080 JPY, 28100 CNY via Louis Vuitton boutiques. 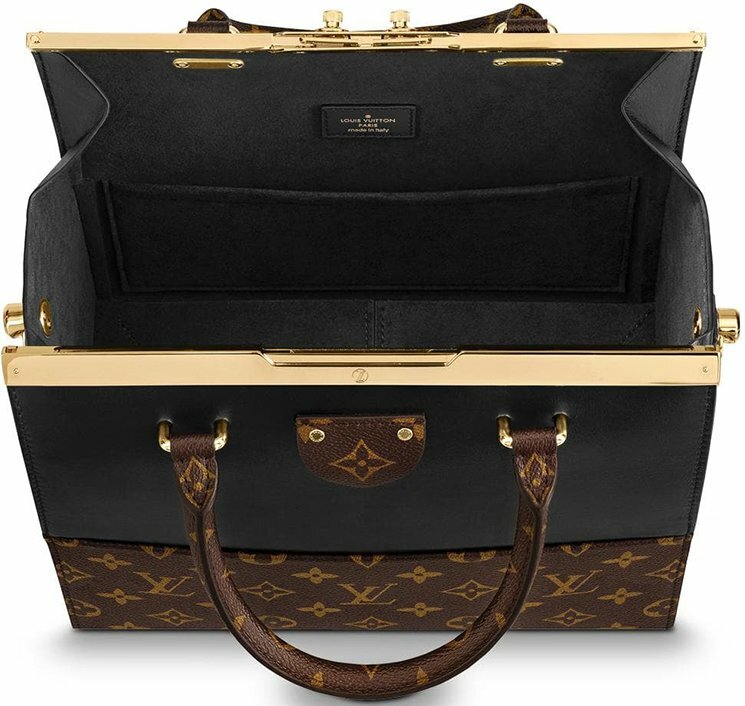 For decades Louis Vuitton is famous for its luggage bags. There were nothing much special about it other than the quality, the style and it’s gorilla size. But to move this luggage, you need to have some strength. It was not easy to transport. 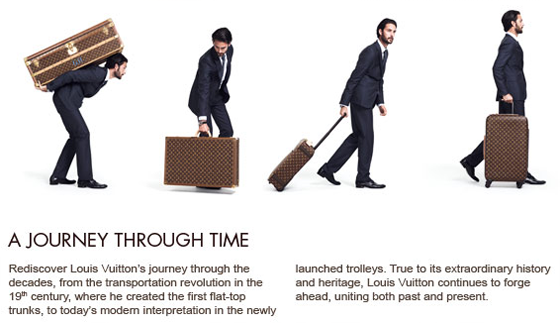 As the years comes by, Louis Vuitton has introduced the trolley luggage bag. Their focus was not to built larger bags, but instead increasing the level of comfort. That’s how the Louis Vuitton trolley is made, it can easily move from the front to the back. Great for traveling, but it has a couple of limitations. 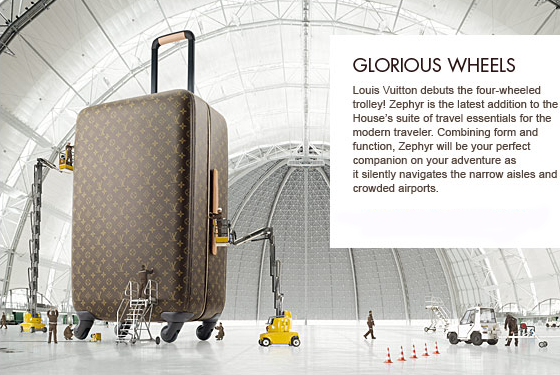 The new revolutionize luggage bag is Louis Vuitton’s latest Zephyr bag. It’s a four-wheeled luggage that can move 360 degrees very easily. 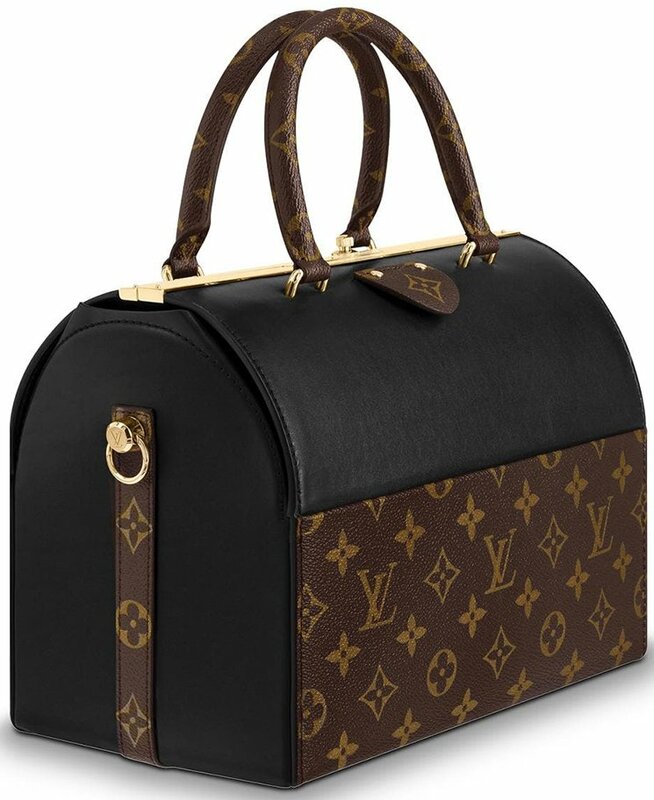 The new LV Zephyr luggage is available in monogram and in two sizes: 55 cm and 70 cm. Watch the video and let us know what you think. 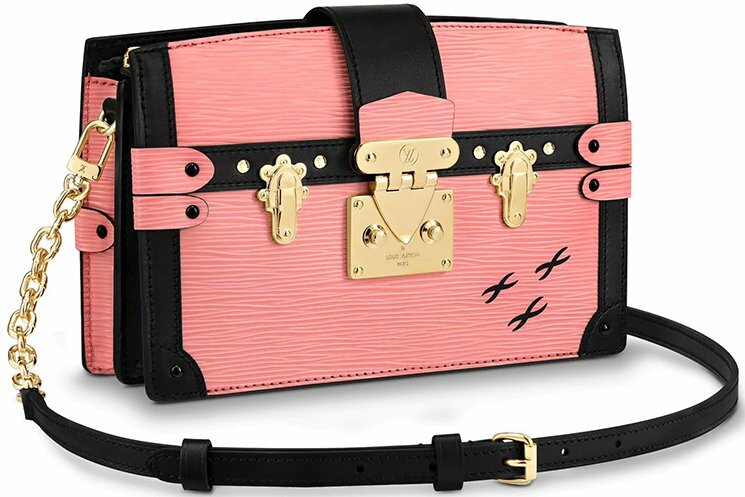 LOUIS VUITTON DISCONTINUED CHERRY BLOSSOM PAPILLON BAG: WHAT IS IT DOING HERE? Doesn’t Shopbop knows what kind of bag this is? Maybe not, that’s why they didn’t put the right name in the description. 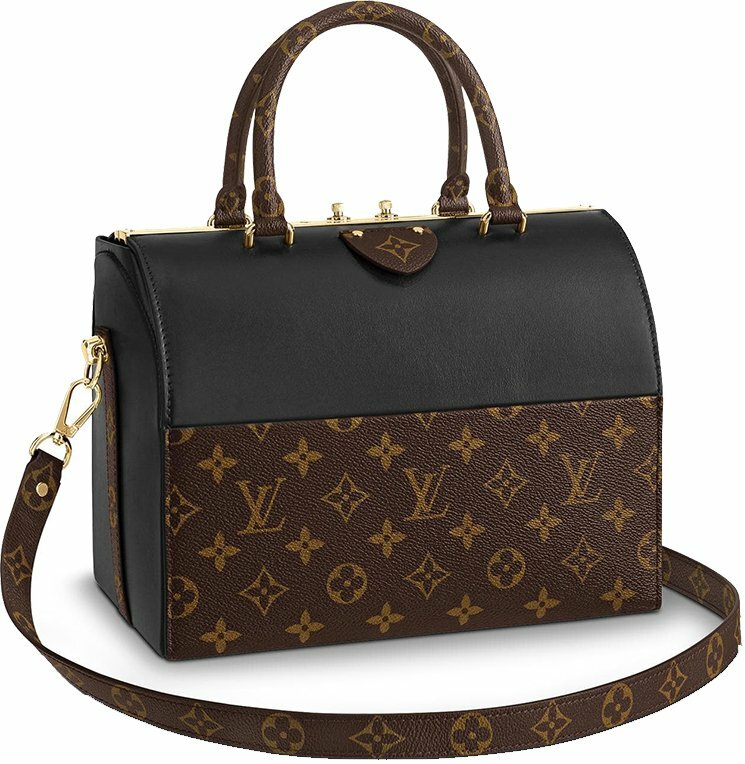 Ladies, this is a discontinued Louis Vuiton bag that I haven’t seen for YEARS. Want to know more? 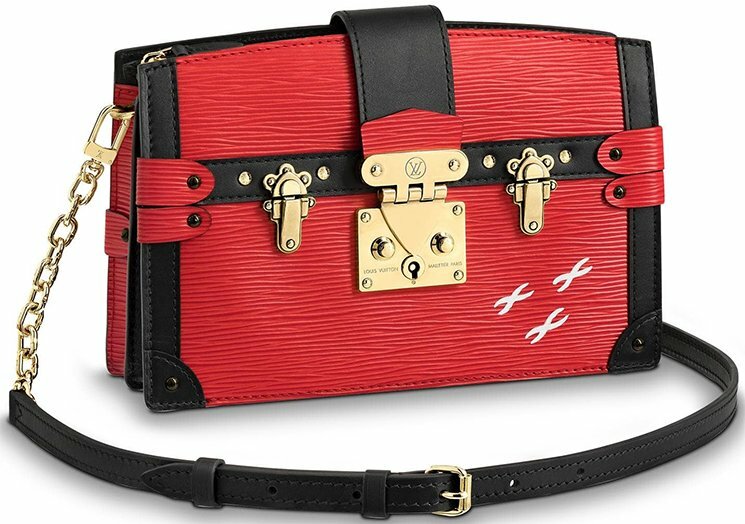 The name of this bag is not WGACA Vintage Cherry Blossom, but it’s Louis Vuitton Cherry Blossom Papillon bag. What a unique sample, pink blossom flowers all over the monogram canvas bag. Who is the brain behind this work? Well, it’s Takashi Murakami, a well known international artist from Japan. He was also responsible for the smiling cartoon faces on the monogram canvas bags. These were all limited editions and were discontinued in June 2003. 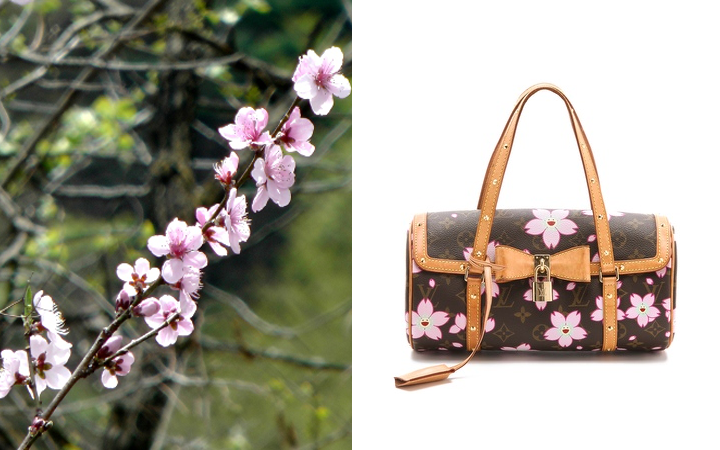 The Louis Vuitton Cherry Blossom was not made to look chic, but more as a fun and genuine collectable item. The Japanese blossom flowers representing the spring/summer appeal and with the knot behind the closure, it actually looks very cute. A discontinued handbag? It’s no suprise there is just ONE left. Available at shopbop for $2,090. The Louis Vuitton Building was first opened on the Champ Elysees in 1913, it was considered one of the largest designer store for travel goods in the world. Later on, more stores has been opened in large cities like New York, London and Washington. The first iconic Noé bag was launched in 1932 and quickly followed by the speedy bag, both bags are still available today. 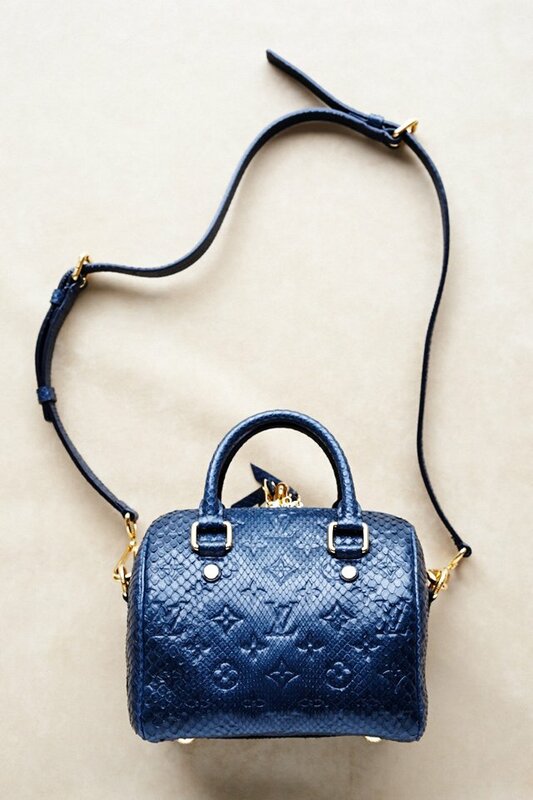 We know the Louis Vuitton speedy bag in many forms, it has been molded, re-painted, embroidered even fringed. In 2003, a well known Japanese artist named Murakami has created cherry blossom pattern on the speedy, which were released as limited editions. 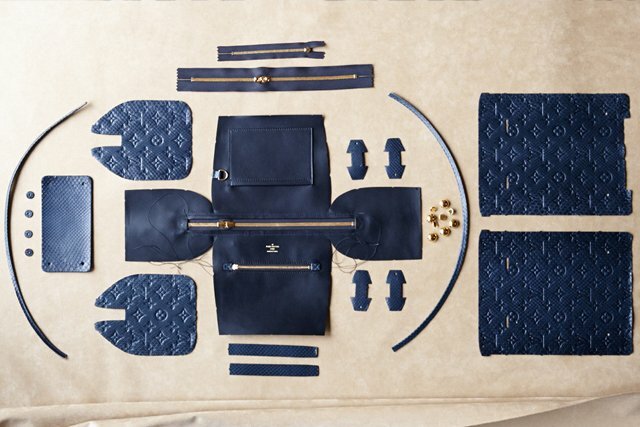 A bag that has a rich history of more than 50 years, have you ever wondered how it is put together? 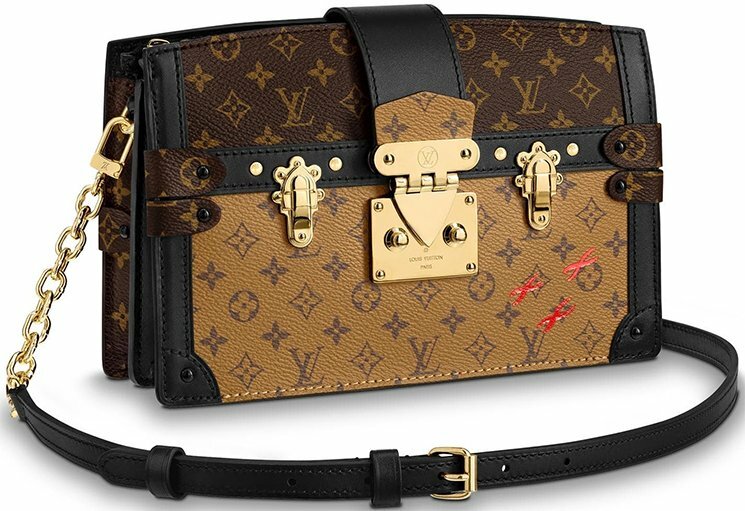 What makes the Louis Vuitton speedy bag so captivating besides its age. 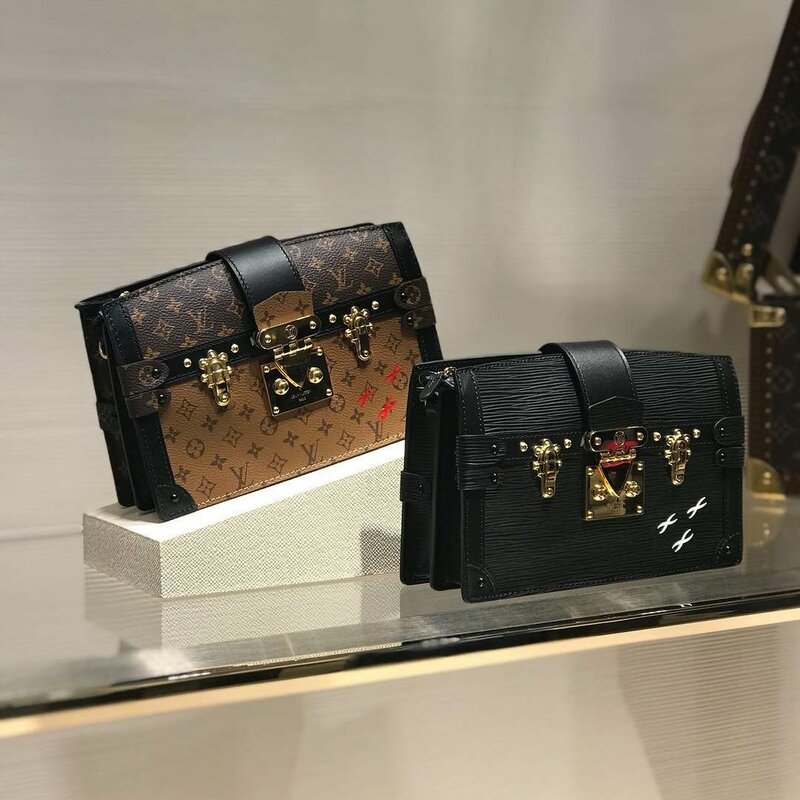 Well, Louis Vuitton gave CR Fashion an exclusive view on their production. 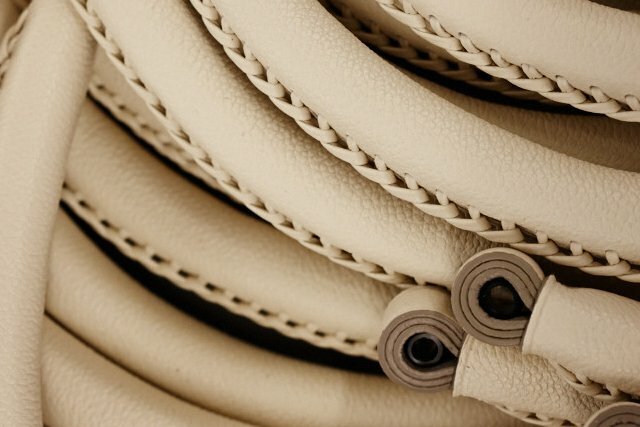 For a single bag, over 400 fabrication and treatments are needed, 12 pieces of high quality leather is assembled and put together and 9 pieces of hard is used. 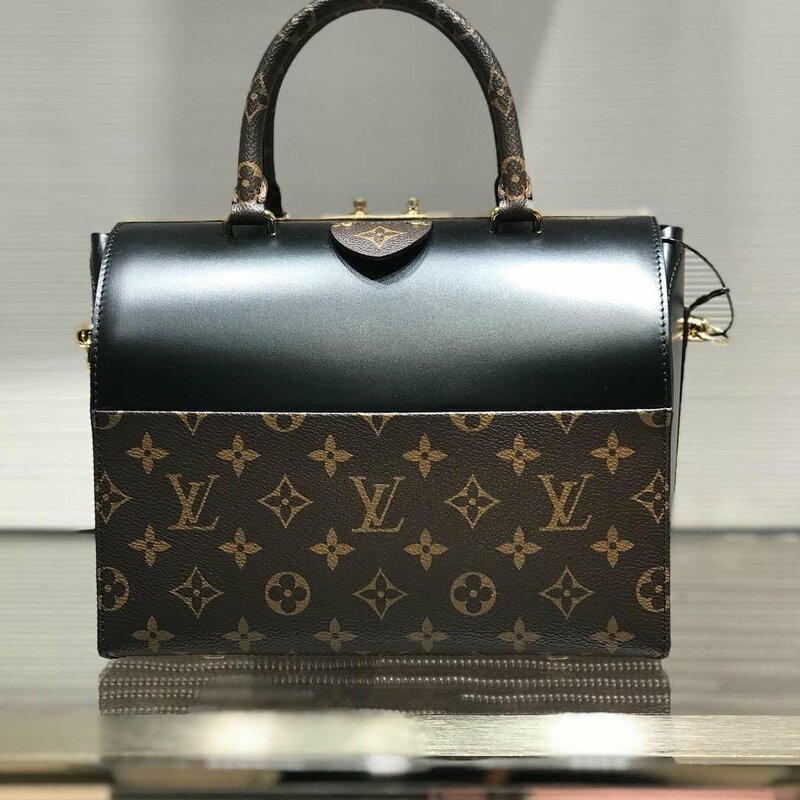 From all the iconic bags that we know, the speedy bag is one of the most affordable luxury that you will be proud to own.